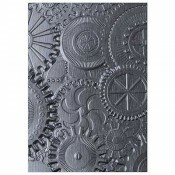 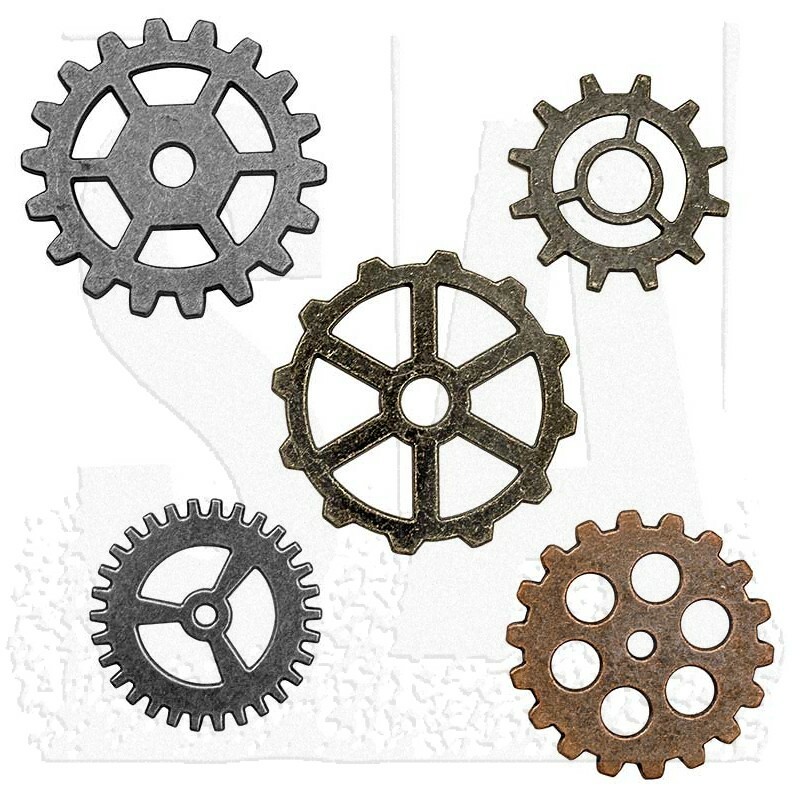 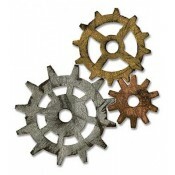 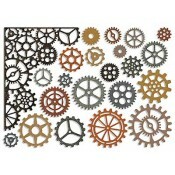 This collection of large metal cogs can be used as adornments. 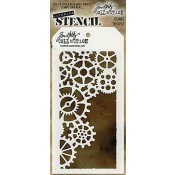 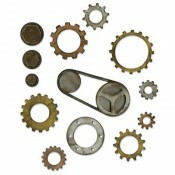 Gears vary in size - the largest 2", the smallest 1 1/2". 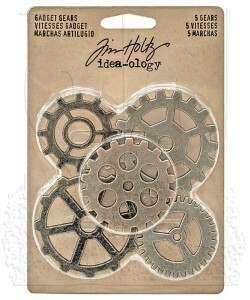 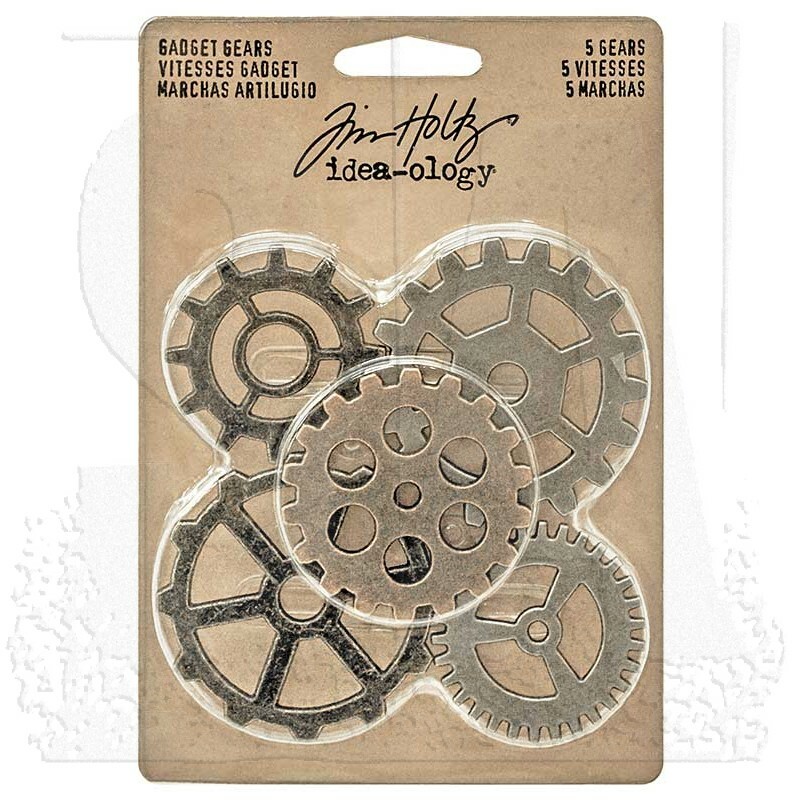 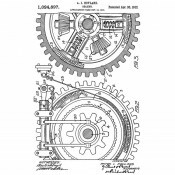 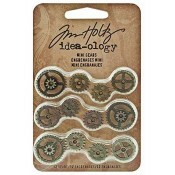 The package includes five gears (two nickel, two brass, and one copper). 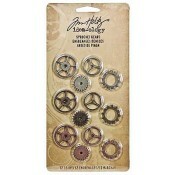 Fasteners not included and sold separately.